Parenting dilemma: are mocktails are okay for tweens? 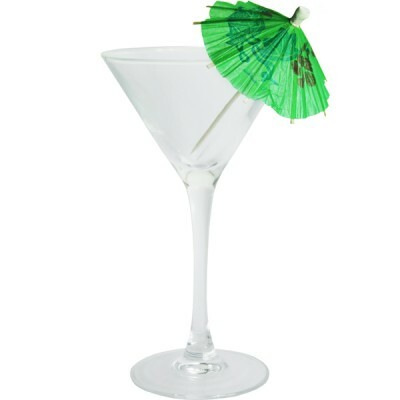 My tween is having a beach-themed birthday party and she wants to serve lime slushies as one of the beverages. She'd really like the drinks to have little umbrella in them, so they are like drinks served on the beach. "Lime slushies" are really virgin margaritas. It's technically a "mocktail," a nonalcoholic beverage. My tween is very clear on the fact that she does not get adult versions of the drink for quite a while because consuming alcohol is illegal until she's 21 years old. She just really enjoys frozen citrus-y beverages, and I'm comfortable with that. When a mom asked about the party, I mentioned the food and beverage plan, including the lime slushies. She said that parents would have an issue with that as it seems like serving alcohol. I want my daughter's guests AND their parents to be completely comfortable. 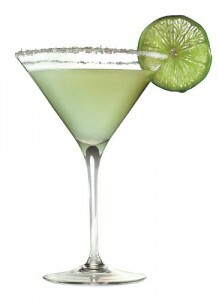 Perhaps we will just have pitchers of lime aid at my tween's party, and skip the umbrellas. I find it interesting that usually I'm the overprotective mom, the one who wouldn't let her kid see The Hunger Games, but my permissible attitude toward lime slushies makes me a bit liberal and indulgent. One thing I've learned from parenting: comfort levels vary from person to person, topic to topic and circumstance to circumstances. Maybe I'm okay with it because it is my house. This weekend, People magazine ran the article, "Teen Choice Awards: Tween-Friendly Mocktail to Enjoy" that gave a recipe for a drink with orange mango juice. A raging debate ensued in the comment section over whether it is acceptable to make and serve mocktails to tweens. Some said that it was promoting alcohol to tweens and teens and putting them on the road to drinking early, others thought it was good to give them alternatives to alcohol that are fun but safe. Some said that if it was called a juice drink, it would be fine. If I call the lime slushy a "juice drink with extra vitamin C" does that make it better? What do you think - is it okay to serve "mocktails" to tweens? What about serving them fun juice drinks and dropping the term "mocktail"?